Dream Alone is a spooky platformer by a new studio WarSaw Games. How good a debut is it? The concept of horror platformers has been around for a while now, and it’s one that makes sense. That’s a genre that still usually considered for kids, so perverting it to create a sense of unease is a decent hook for a game. Limbo, and more recently Inside and Little Nightmares are some examples of doing it well, and Dream Alone is a new game like it, though I feel with some mixed results. 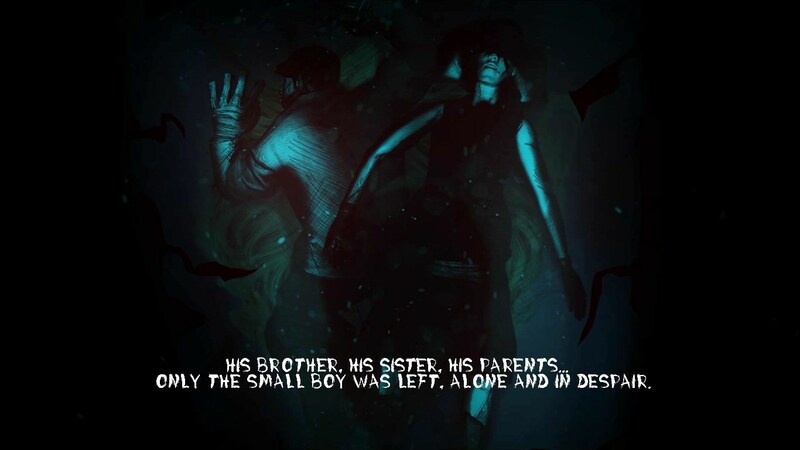 You play as an unnamed, Tim Burton-ish boy whose village has been hit with a mysterious illness, leaving everyone but him in a coma. The only possible solution is for him to find the famed Lady Death, who has the power to set things right. Naturally, standing in his way is a whole wilderness’ worth of traps and monsters out to murder him. Murder him they will, at least a few times, as this is a one hit death game. Any scrape with danger will kill the boy, and there are even achievements for being killed in specific ways. Disappointingly though, there are no specific death animations – there’s a splatter of blood, and he’ll fall down with his head off no matter what kills him, be it a giant tick, a wall of brambles, or a buzz-saw. As for defending yourself from all this, at the start of the game you can only walk and jump. Shortly after though you gain a new ability in each set of levels. First is the ability to switch worlds and cause new things to appear when you do. 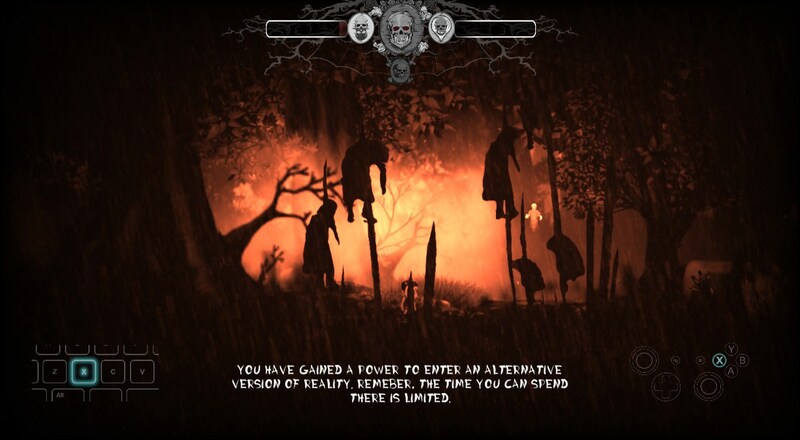 The levels are already fairly bleak, being in black-and-white, but doing this changes the scenery horrific, with shadowy people impaled, and turns the soundtrack oppressive. Reminds me of Eversion, and it’s pretty effective. You then get the ability to summon a clone, which you use mostly to hold down switches for puzzles, and then the ability to summon a light source in dark areas. This and the world-shifting mechanic both run off separate power bars; they don’t regenerate on their own and you find drops for them placed whenever you’re expected to use either, which cuts down on moments where you aren’t sure what to do, but it also makes things feel a bit obvious. The puzzles you encounter are easy enough but what I found more troublesome were the parts where you have to time your movements. For instance there are a couple moments in the cave level where you have to run under a guillotine going up and down, and the window for error was quite small. Checkpoints are plentiful enough, but usually make you run through a few obstacles before the next, so moments like that can be frustrating. 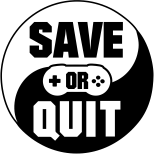 There are also some ‘boss battles’ at the end of each set of levels, but those have just involved avoiding the enemy in question. 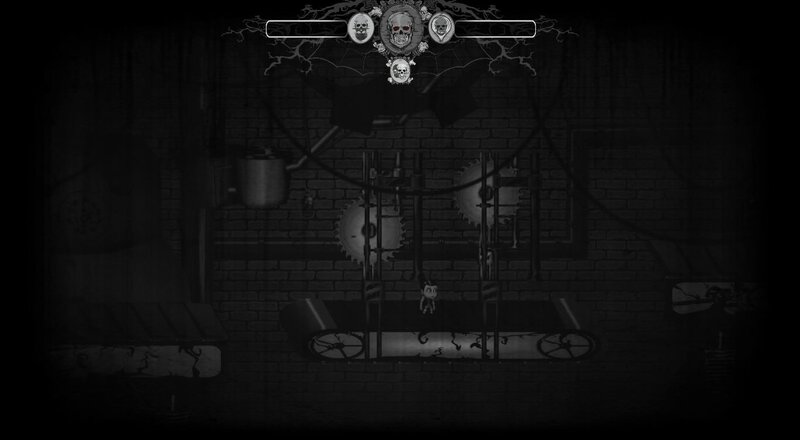 Graphically the game doesn’t look bad, but the black-and-white color scheme doesn’t work in its favor, as lot of the environments feel kind of bland outside of the nightmare world. On the other hand though you could say that works in its favor, being a horror game: if something doesn’t happen for a long enough time, you might find yourself wondering when it will, and what it’ll be. The cutscenes between levels are a lot more lively however, telling some dark fairy tale about the area you’re entering and what dangers you’ll face in it, all centered around a woman in black I assume to be Lady Death. They get across the feel of the game quite well, and have some decent voice acting. One thing I don’t care for though, is a graphical effect the game has where every few seconds it kind of ‘blinks’, like an old-timey movie skipping. It obscures the screen for a second, which you really don’t want in this kind of game, and probably contributes to the epilepsy warning the game gives at the start. So if you suffer from that, probably better safe than sorry. Overall Dream Alone doesn’t set the world on fire, but it is a competent game with decent puzzles, and while it is difficult it does make you feel like you accomplished something when you beat a level. It’s a solid Save.